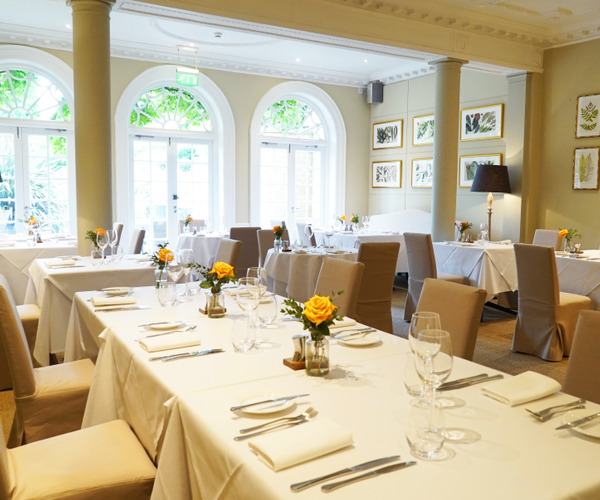 Regency house with a chic restaurant, plus meeting rooms, luxury suites and garden cottages. This award-winning luxury hotel and spa in the heart of Chipping Campden, Gloucestershire, which has recently benefitted from a substantial refurbishment, will appeal to discerning travellers visiting the Cotswolds, looking for tranquility, sublime comfort, exceptional food and a stunning spa.Our inspirational and award-winning Spa is perfectly located in the heart of Chipping Camden, hidden at the top of the hotel landscaped garden in a secluded spot. We have created a warm relaxed spa ambience with a choice of therapeutic and holistic therapies and a list of essential beauty treatments to complete your experience if you wish.Inspiring treatments from Decleor, using a holistic approach to beauty, enhancing massage techniques and a comprehensive range of 100% pure, preservative free, potent essential oil formulations work in perfect harmony to produce immediate and outstanding results personalised for every skin type.The Cotswold House Hotel Spa facilities include seven treatment rooms complete with a couple’s room, a hydrotherapy pool with jacuzzi and relaxation area, an aromatic steam room and relax room, retail area and changing facilities. All guests are offered complimentary robes, towels and slippers on arrival. Complimentary Herbal Teas can be taken at your leisure. Children under 18 years of age are not permitted to receive Spa treatments or use the Spa facilities. All of our treatments are suitable for women and men. Hours of operation:The Spa facilities are complimentary for all Cotswold House Hotel residents. Please note: Access may be limited to 2 hours during busy periods, which is generally between 2pm and 6pm, particularly at the weekends. Hotel guests are welcome to use the Spa facilities from 1pm on day of arrival up to 1pm on day of check-out.Arrival at the Cotswold House Spa is recommended early in order for you to get the most from your spa visit, and to avoid being late for your booked treatments. It should be noted that guests are required to complete paperwork upon arrival at spa - reserve some additional time for this if you’re a newcomer. The inspirational and award-winning Spa is ideally located in a secluded spot at the top of our magical gardens. It is a short walk at the end of which you find a place of serene elegance and peaceful relaxation. Decleor’s holistic treatments are famous worldwide for their heavenly feel and simply stunning results. 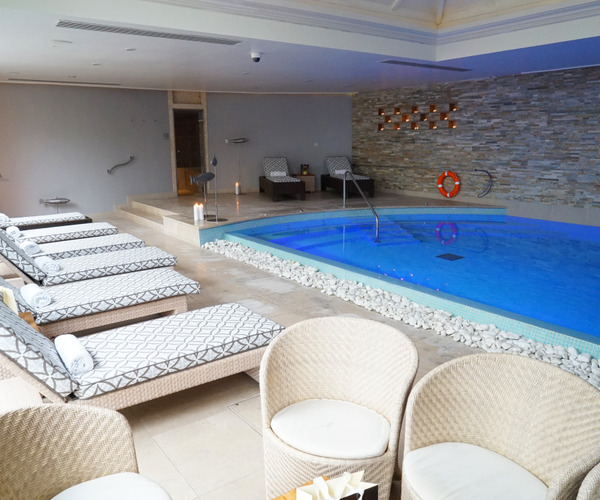 The Spa at Cotswold House is small but perfectly formed, comprising six treatment rooms, a hydrotherapy area with a heated hydrotherapy pool and an aromatic steam room for pre- and post-treatment use. The Spa facilities are complimentary for all Cotswold House Hotel residents. While at some Spas, you find yourself elbowed out from your peaceful swim by a noisy aqua aerobics class, or jolted out of some quiet contemplation by children in armbands, at Cotswold House Spa we believe small (and exclusive) is beautiful. We don't promise mud baths, fancy gadgets and false promises - our speciality is peace and quiet, in the idyllic surroundings of our Cotswold garden; hydrotherapy pool and restorative and reviving treatments given to you by our expert, caring team , and the space to unwind and really let the rest of the world slip away. The tranquil ambience also makes Cotswold House ideal for morning coffees, light lunches, afternoon teas, weekend brunches and dinner with friends.